For the past nine years, Oscar winners and nominees like Benedict Cumberbatch, Bradley Cooper and, in 2019, Brie Larson have poured into the Marvel Cinematic Universe. But “Spider-Man: Homecoming” is an odd duck in the MCU canon, and not just because it’s coming from Columbia Pictures rather than Disney. While Michael Keaton brings his chops to the film as a blue-collar villain with a “Birdman”-esque suit, it is a stable of rising young actors, led by 21-year-old Tom Holland as Spidey himself, that will be in the long haul for the sequels to come rather than the A-listers that have held up other comic book movie franchises. 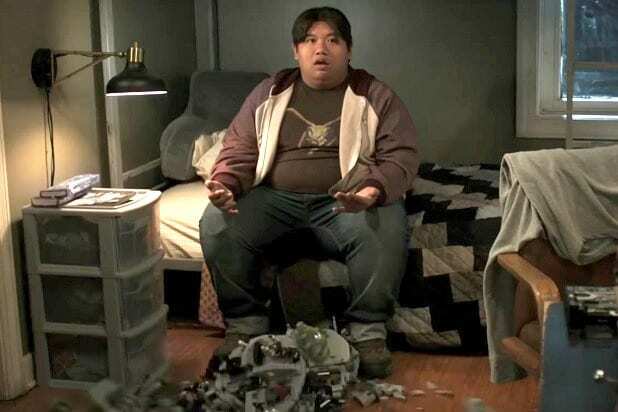 But while Holland plays an adorable Peter Parker, the biggest star to come out of “Homecoming” will likely be Jacob Batalon, a newcomer who steals the show as Peter’s school buddy, Ned. Born and raised in Hawaii to Filipino parents, Batalon auditioned for the film in a screen test with Holland while finishing his studies at the New York Conservatory for Dramatic Arts. There were no specifics in the casting call aside from being able to pass off as a teenager. After two months of waiting, Batalon got the call that he was joining the MCU, though he wasn’t told for a while that he’d be playing Peter Parker’s Lego-building buddy who accidentally discovers his superhero secret. See Jacob Batalon's latest POWER MOVE. Such loose casting carried over to every actor who played Peter’s classmates, allowing the movie to take various characters in the Spider-Man mythos and give them radical reinterpretations. Batalon’s Ned is a far cry from his comic book counterpart, where he is a white, fully-grown colleague at the Daily Bugle who, at one point, becomes brainwashed into becoming the Hobgoblin, something that Batalon is very aware of. Indeed, no incarnation of Ned has ever helped out Spidey the way Batalon’s version does. Batalon says this film’s willingness to experiment and play with Spidey’s world was established from the first moment the cast congregated for a table read. From there, natural chemistry between the young stars carried them through filming, particularly between Batalon and Holland, whom Batalon says he clicked with from the first day of shooting. This won’t be the first time Batalon plays a sidekick. He just finished filming his next movie, “The True Don Quixote,” where he plays the Sancho Panza to Tim Blake Nelson’s Don Quixote in a modern-day spin on Miguel Cervantes’ classic tale set in New Orleans. He will also return to play Ned again in the sequel to “Spider-Man: Homecoming” in two years. But, for now, Batalon is just enjoying this big moment as he makes his introduction to Marvel fans the world over. 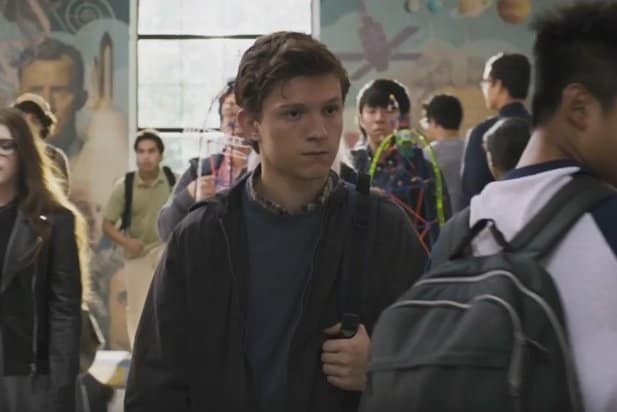 While Flash was a stereotypical bully jock in the comics, he’s reimagined in “Homecoming” as a spoiled rich kid who is Peter’s rival on the academic decathlon team. In the comics, he grows up to become the first person to control the Venom symbiote, taking the name of Agent Venom. In the comics, Sally Avril is a member of Flash’s entourage who wants to get closer to Spider-Man. To that end, she takes the mantle of Bluebird, a Hawkeye-style superhero who uses her gymnast skills and special gadgets to keep up with Spidey, much to his chagrin. Peter’s academic decathlon teammate was originally one of the three Sons of the Tiger, martial arts experts who could share their strength and abilities with the help of special amulets. One of their adventures saw them team up with Spider-Man to bring down a masked mob boss known as the Crime Master. Not only is Cindy Moon a hero in the comics, she’s also one of the most popular new additions to the Marvel mythos. Bitten by the same radioactive spider that bit Peter, Cindy becomes Silk. The name Betty Brant should ring a bell with anyone who loved J.K. Simmons’ portrayal of Jonah Jameson. Yes, that’s a teenage version of Miss Brant, Jameson’s secretary and occasional love interest of Spider-Man. Peter’s crush, Liz Allen, didn’t have much of a presence in the comics for many years. But that changed dramatically in the “Ultimate Spider-Man” series in 2008, when she became that universe’s incarnation of Firestar, a member of the X-Men with the ability to fly and summon flames.